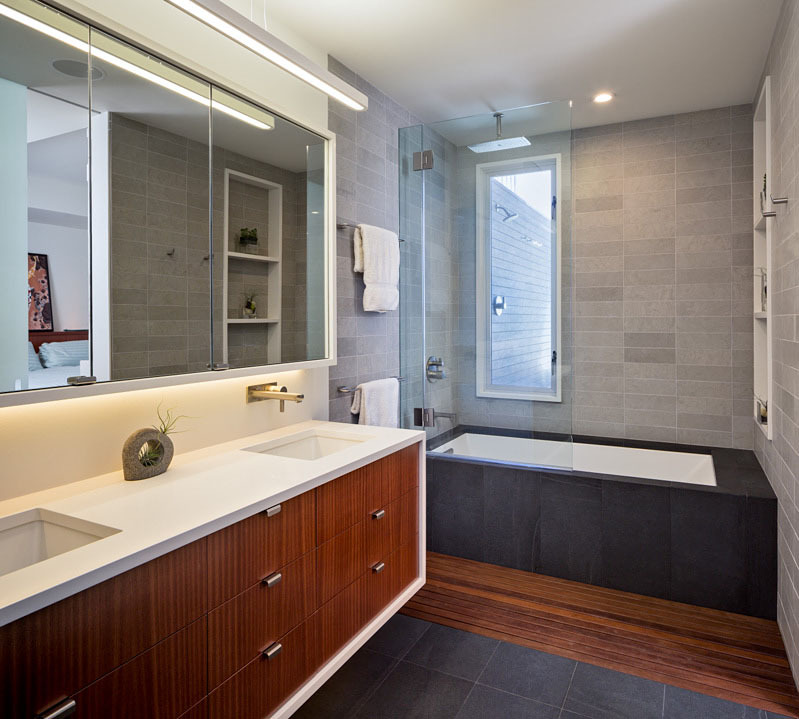 This master suite renovation represents the completion of a whole house remodel undertaken initiated several years ago. The space had been intended as a master suite but left incomplete for budgetary reasons. In the interim, the owners used the area for storage and as accommodation for the occasional visitor. The pending arrival of the family’s second child prompted the move to complete. Schwartz and Architecture’s master plan had organized a strong spatial arrangement, packed with program. building Lab, along with the client, developed all of the materials and detailing. We also, of course, built it. bL picked up on prominent themes from the earlier project, developed and re-worked them with materials specific to the context. From a geometric standpoint, cleanness, simplicity and continuity drove decisions. Headers were eliminated from doors allowing continuous ceiling planes interrupted only by slots for sliding doors. Flush detailing of tile and sheetrock and sliding glass doors that converge to form an inside corner are but a couple examples of many challenging details dedicated to precise alignments and reveals. 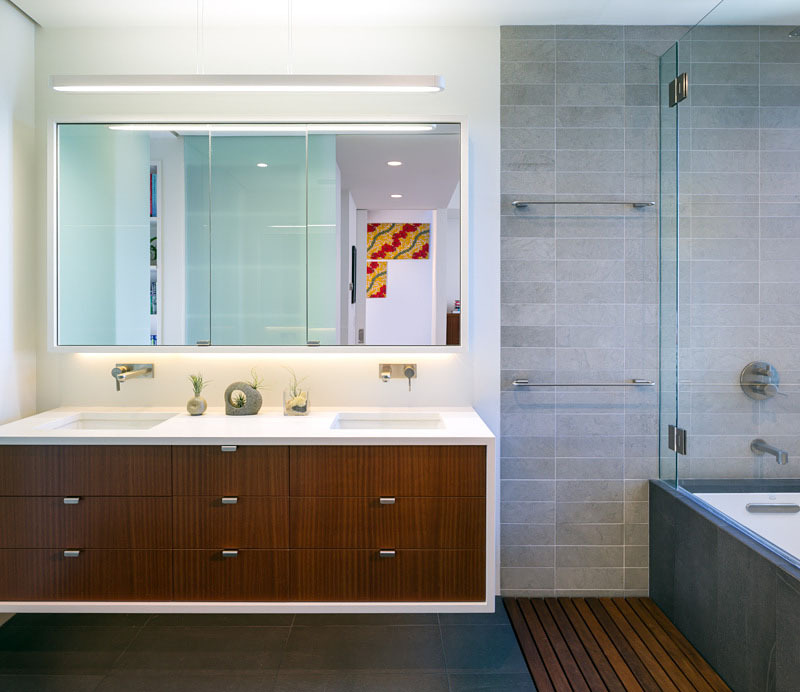 From a material standpoint the wood provides tactile softness, frosted glass and lighting maximize depth, while tile and Caesarstone maintain solidity and groundedness. Details such as the Caesarstone wrap of the vanity and medicine cabinets offer surprises and engagement through unlikely material application. Projects of such density and richness in materials and detail are somewhat rare. We are grateful to our clients for the opportunity and challenge.